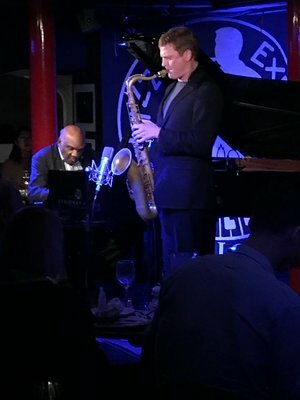 Eric Alexander is undoubtedly one of the best living tenor sax players in the world. When you pair him with the legendary Harold Mabern on piano, and throw in John Hall/bass and Bernd Reiter/drums, you have a mesmerizing cocktail of straight-ahead take-no-prisoners mainstream bop. Although technically not included in the LJF program, this quartet is world class and it was a brilliant way to end a spectacular EFG London Jazz Festival.